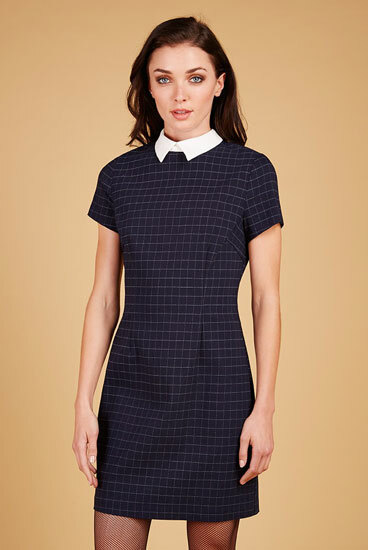 If you are thinking work and retro, you might be interested in the newly-arrived Louche Dynie contrast collar shift dress. 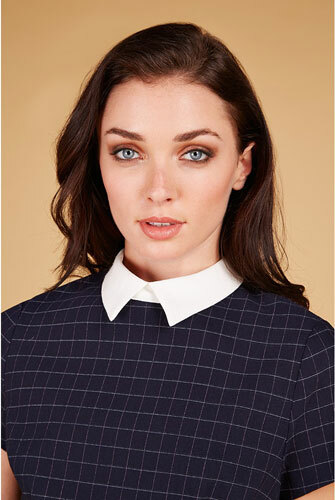 Inspired by the 1960s, this is a navy check shift dress with a fitted waist and short sleeves, topped off by the (you guessed it) contrast collar in white. Perfect for work and after work, it is available in sizes 8 through to 14, selling for £49.